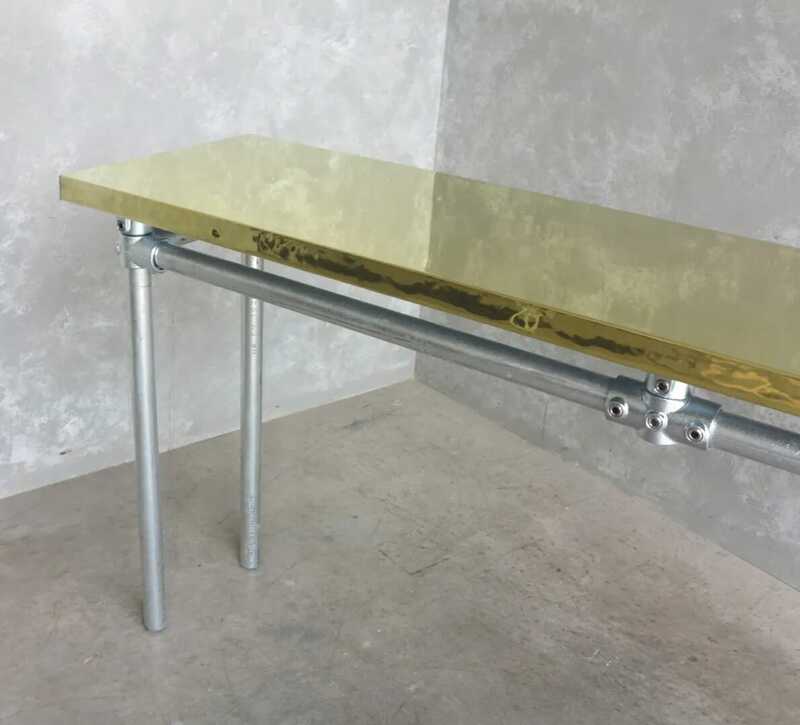 This brass table has the specifications: 187cm Long x 45cm Wide, square corners with plastic feet on a 43mm diameter metal galvanised base. The table top has been handmade and built here at UKAA by our experienced team of carpenters. 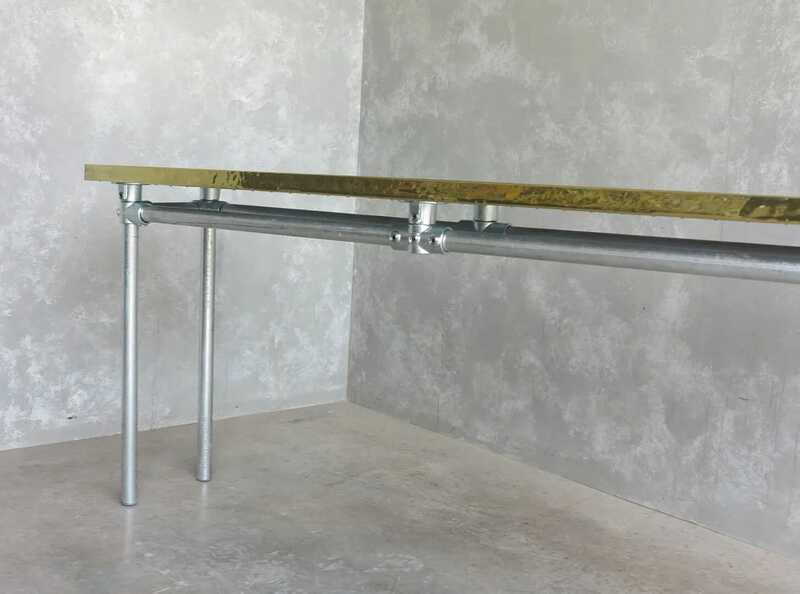 The base is made from galvanised steel tubing. You can either have metal galvanised feet or grey plastic feet. 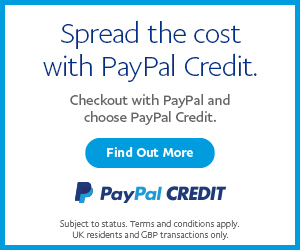 The galvanised steel tubing has a 42mm diameter. 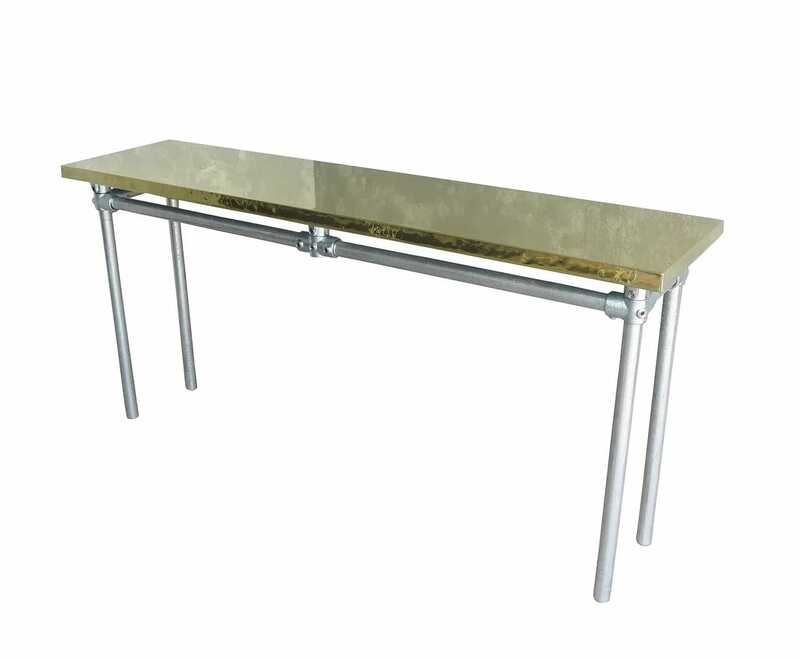 The top is made from natural solid brass and NOT an inferior plated finish. 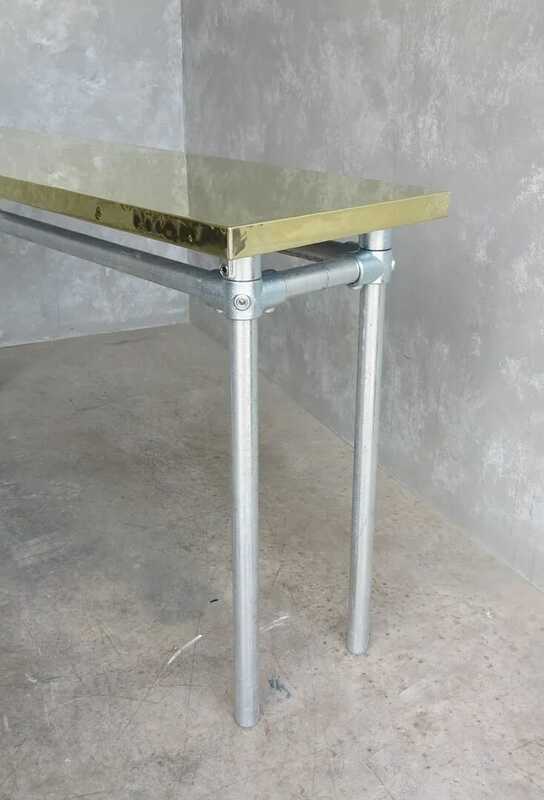 Brass is ideal to use in kitchens, it is a hard metal that is safe to use in food preparation with the advantage of the more you use the table the better the look. 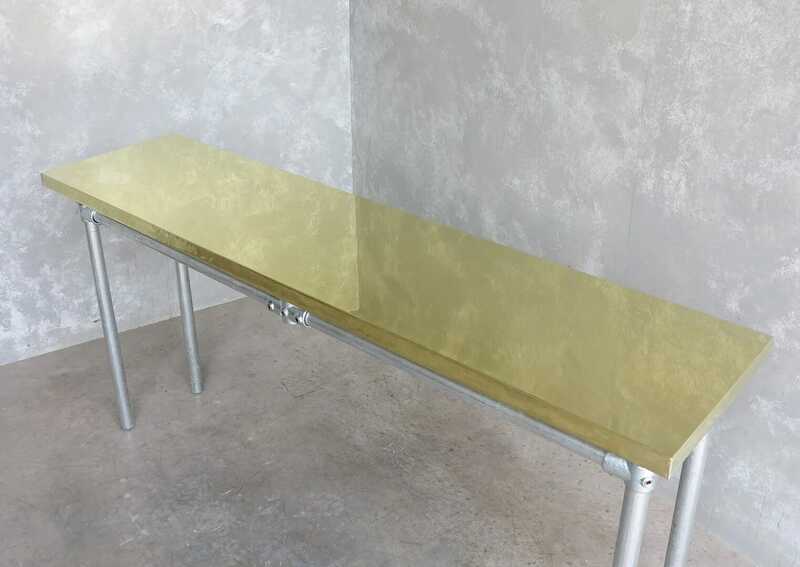 We can make you a table like this - to your specification - we can also paint the base to your bespoke colour.